There is only one form of marketing that has ever been consistently successful: word-of-mouth recommendations from people we know. That’s also the one medium which, historically, marketers had little ability to tap into. Celebrity endorsements were as close as they could come, but knowing who the person on TV is just isn’t the same as knowing the person. Over the past decade, influencer marketing evolved because it effectively fills this need. At our 2017 influencer marketing conference, our lineup of speakers—and those in attendance—spent only a little time celebrating the industry and its rapid growth. Yes, we praised ourselves for recognising the value of this new way to reach customers, but by and large the focus remained on where the industry is going, and where we were going to take it. It was fascinating to see how different perspectives have begun to form very distinct approaches from company to company. The big lesson we got from all this is that the practice of influencer marketing will, in the near future, no longer be so narrowly defined. 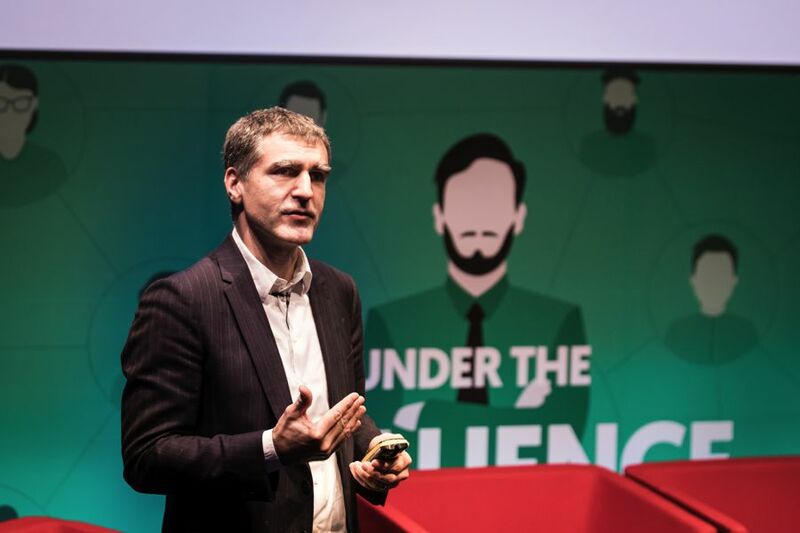 Titled From Experimentation to Transformation, Chabot’s hour long talk stressed the need for marketers and brands to change their approach to influencer marketing. IM can’t, on its own, revolutionise customer outreach. And while marketers may explore the possibilities of influencer marketing in small doses, that’s not a long term strategy. They can’t employ old-school thinking to this new-school form of marketing and expect results. While internet connectivity itself made the world a little smaller, it also made consumers much more savvy about—and annoyed with—advertising. Marketers liked to blame ad-blocking software for their lack of effectiveness, but that ignores the fact that solutions like that exist because consumers wanted them. 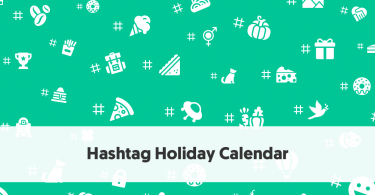 When social media exploded in popularity, marketers were quick to jump into our Facebook and Twitter feeds. 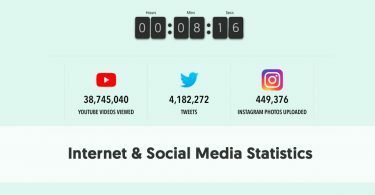 The immediacy and reach of social media posts showed marketers a new way to connect with consumers, at least in terms of getting their messages in front of as many eyes as possible. But technology alone wasn’t the answer to their problems. Instead, it was the level of trust and authority that certain people developed with their audiences. 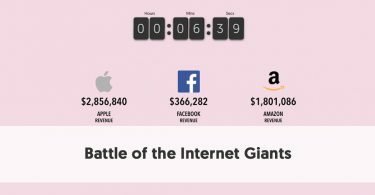 When marketers realised they could leverage the relationship between these social media superstars and their followings, in the form of authentic content featuring brands and products, a new industry was born. 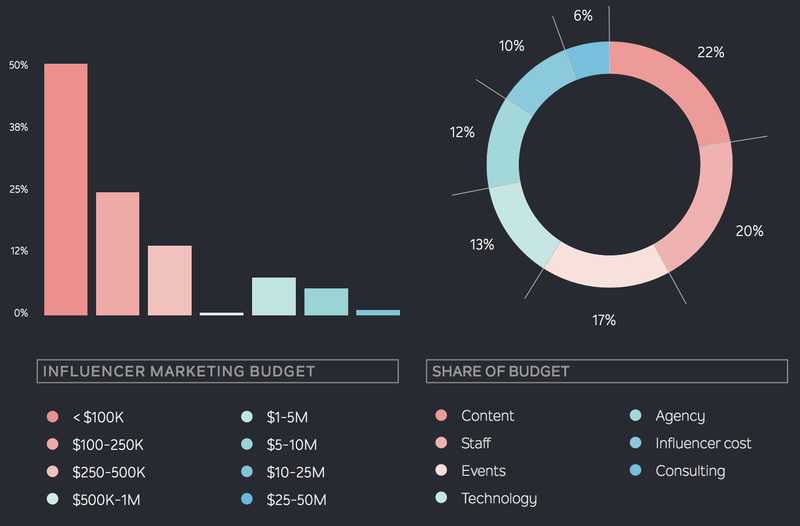 Influencer marketing was seen as the answer to the problems of digital marketing. By partnering with individuals who’d developed loyal followings, brands finally found a way to tap into word-of-mouth marketing on a massive scale. Influencers weren’t celebrities—they were real people with relatable passions and interests. If there was a brand or product they felt strongly about, their audiences were listening, engaging, and taking action. The influencer approach bypassed a marketing team’s own creative department in favour of authentic, user-generated content. For audiences, it was like getting a recommendation from a friend. For marketers, it was like a celebrity endorsement they didn’t have pay for—free products and the promise of a bigger stage was enough compensation for the average influencer. Everything had changed in a few short years, except for one crucial detail: the mindset of marketers. For them, the endgame was the same as it ever was—to build brand awareness, convert new customers, and make more money. They saw influencer marketing working—and working well—and ended up creating a new bandwagon everyone wanted to jump on. And we all know what happened next: influencers started wanting money, too; marketers began paying quite a lot for user-generated content; influencers inflated their audience through questionable, and sometimes fraudulent, means; audiences discovered that some posts in their feeds were really ads masquerading as content; marketers jumped from influencer to influencer in search of more impressive metrics. Influencers stopped trusting marketers. Marketers stopped trusting influencers. And audiences went right back to mistrusting and ignoring advertising in any form. So much for authenticity and human connection. It’s almost incorrect to refer to the future of influencer marketing as version 2.0, for the simple reason that it wasn’t supposed to be this way. From the beginning, there were companies doing things differently, focusing on authentic, organic methods requiring more of a long game than on quick results. For nearly a decade, Traackr has viewed the heart of influencer marketing through the lens of relationships, not transactions. Their approach has been to encourage brands to support and nurture influencers through true collaborations—and to be part of the communities that the influencers themselves have created. The outside world hasn’t exactly been privy to this strategy, for the simple fact that debacles like Fyre Festival make for more interesting news than relationship-building. Holistic approaches tend not to excite people until the more acute strategies start to show their limitations. Influence 2.0, on the other hand, is Match.com. The process starts out in the same exploratory mode as Tinder—Who’s out there? Are we compatible?—but the goal is very different. The idea isn’t just to go out on a series of isolated dates (campaigns), but to try and foster something for the long term. When the date is over, and before the next one happens, there’s plenty of space to fill to keep the object of affection interested. Flirty texts become declarations of love, love becomes commitment, and commitment takes a lot of work. Of course, this dating analogy breaks down a little when we start talking about influencer marketing at scale, because most human relationships don’t survive the existence of thousands of other partners. Still, you get the idea: long term relationships are ultimately more rewarding than one night stands, and brands and marketers would do well to rethink their approach. They’ll have to, at this point—if marketers lose the trust of influencers, it goes without saying their audiences will follow. The long term relationship approach advocated by Traackr isn’t, of course, the whole story. It’s only the beginning. This is where Chabot’s presentation title (From Experimentation to Transformation) starts to become clear. The idea here is that until now, brands and marketers have only been exploring the possibilities that influencer marketing opens up. They do this by testing the waters—they’ll experiment with a photo-based campaign on Instagram or product reviews on YouTube, for example. If the campaign goes well, and they usually (but not always!) do, they’ll bring the data back to the decision-makers as proof that influencer marketing is worth pursuing. Maybe they’ll do some more campaigns, maybe they’ll add more budget, but then after some time they’ll start to notice something. The campaigns themselves will perform well terms of reach and engagement—they’ll be getting far greater bang for the buck in these areas than with more traditional methods—but there won’t be any appreciable improvement in the long term performance of the business. Disappointment will abound, and influencer efforts will be cut back or even abandoned. What’s going wrong for these people is that they haven’t changed their approach. The way they’re implementing influencer strategies is essentially the same as if they’d paid for a number of TV commercials without any overarching narrative or strategy to guide them. And while that’s going on, they’ve got print and radio ads, and email newsletters, and any other number of strategies going, all with different messages and each ad type being managed by a different team. This is where the transformation needs to happen. It’s not that influencer marketing can transform a business, it’s that marketers themselves need to transform their approach. 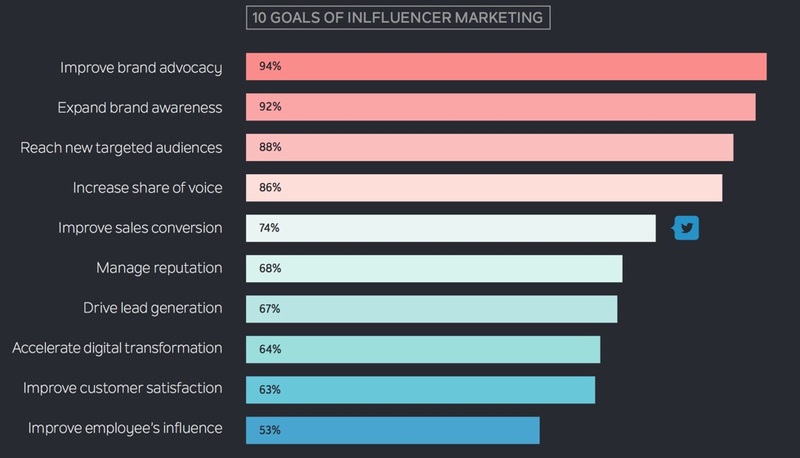 Influencer campaigns need to tie back to the themes and goals of the larger strategy. In a blog post on Traackr’s website Chabot goes into the detail that his conference presentation contained. Marketers and brands need to rethink everything, top to bottom, to really harness the power of influencer marketing. Budgets need to reflect the more prominent role IM needs to play, yes, but there need to be organisational transformations, as well. Better collaborations between teams is vital, while new software tools need to be put in place to facilitate that. They’ll need to gain a better understanding of their influencers’ audiences—what makes them loyal to influencers will also work to make them loyal to the brand. Identifying the stage of the “customer journey” each of these distinct audiences is at should inform their approach, and likely mirrors the state of the relationship with influencers. So, if they’re in the beginning/experimentation phase with the influencer, then the goal for the audience should reflect that. In other words, the holistic approach may start with the way influencer relationships are cultivated and nurtured, but nothing changes until marketing teams themselves do. The transformation Chabot talks about has nothing to do with any one method of influencer marketing. It doesn’t matter where or how you find influencers. Whether you’re using an AI engine to automate campaigns, or scouring marketplaces for influencers to create sponsored content, whether you pay your influencers in cash or product, or not at all, none of it matters as much as how you’re going to put all these discrete parts together to form a whole. That “whole” you’re after is an “always-on” approach, where brands are actively participating in these communities they’re marketing to and not every interaction needs a metric or dollar sign attached to it. That’s a huge break from the traditional way of thinking, but that’s what gives influencer marketing the potential to be so transformative. If you missed it in the text above, here’s the link to Nicolas Chabot’s post, From Experimentation to Transformation. 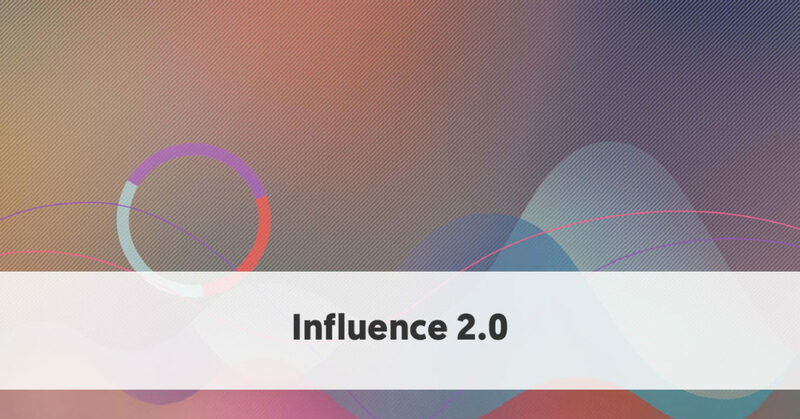 And if you’re curious as to the research that supports Chabot’s ideas, you can download the report on Influence 2.0.